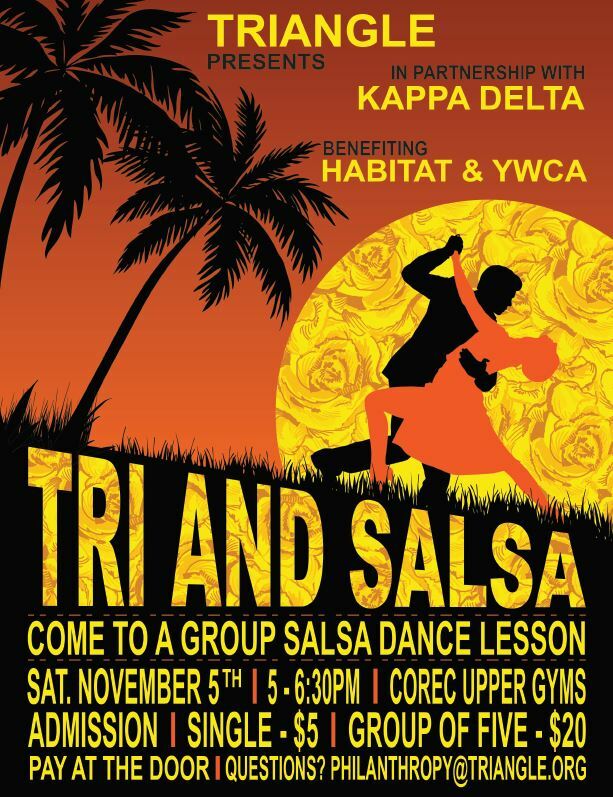 Join us on November 5th in the Corec Upper Gyms from 5 – 6:30 PM for a salsa dancing lesson hosted by Triangle Fraternity and Kappa Delta! Come alone, with a date, or in a group and get a fun lesson all while helping Habitat for Humanity and YWCA! Hope to see you there! Special thanks to Jesse Young for this great flyer!